As we approach our bicentennial, we are reminded of our rich history and the many amazing people who have passed through our historic columns. Despite epidemics, wars, and economic downturns, Athens State has not only endured but has grown into a highly respected university. Our commitment to serve our communities as well as our students is stronger than ever. The foundation was laid in 1822, and Athens Forever begins today! 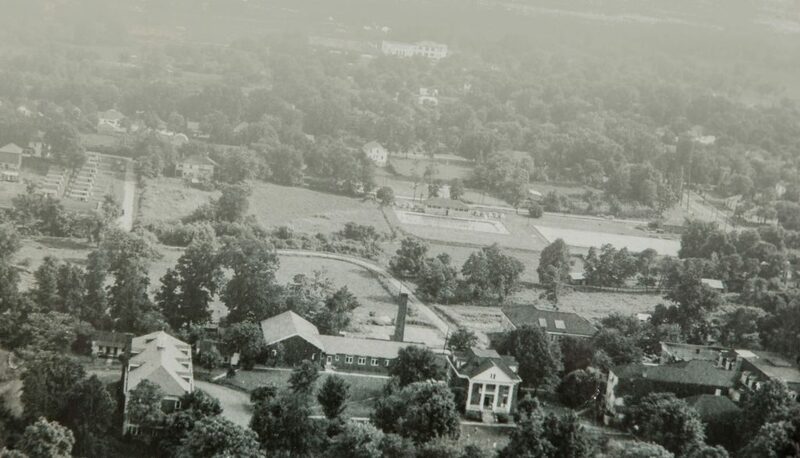 Our story began in 1821 when Judge John McKinley donated land to the city to establish Athens Female Academy. Classes began in January 1822 in a newly constructed four-room schoolhouse under the direction of the Rev. Daniel Perrin Bestor. The Academy was private with substantial tuition and offered courses similar to those of a modern college education. Over the next twenty years we successfully educated daughters of the most influential families of Athens. 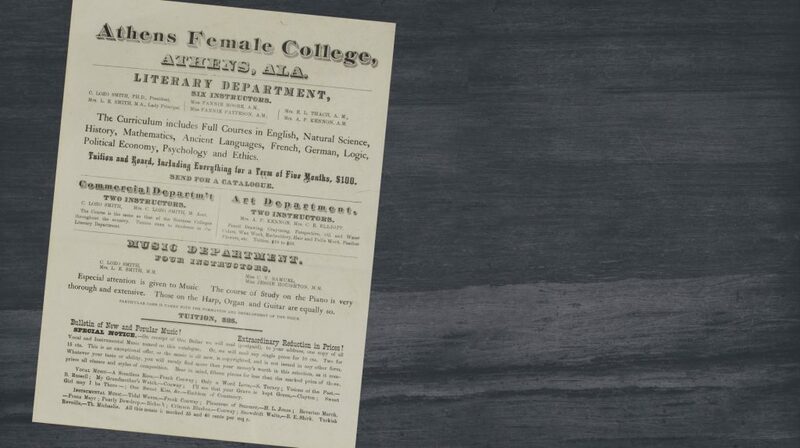 In 1842, the trustees of Athens Female Academy envisioned more. They had a desire to affiliate with the Methodist Church, which was developing a system of higher education that included women’s colleges. They hoped to grow enrollment and enhance programs by attracting boarding students from a wider area. In October 1842, the Tennessee Conference of the Methodist Episcopal Church approved this plan. At the same time, local families donated money to build Founders Hall, our oldest surviving building. We became Athens Female Institute of the Tennessee Annual Conference with Rev. Richard Henderson Rivers, D. D. serving as president. Initially the new affiliation was a great success as enrollment neared 200 in the late 1840s, but growth stalled in the 1850s. 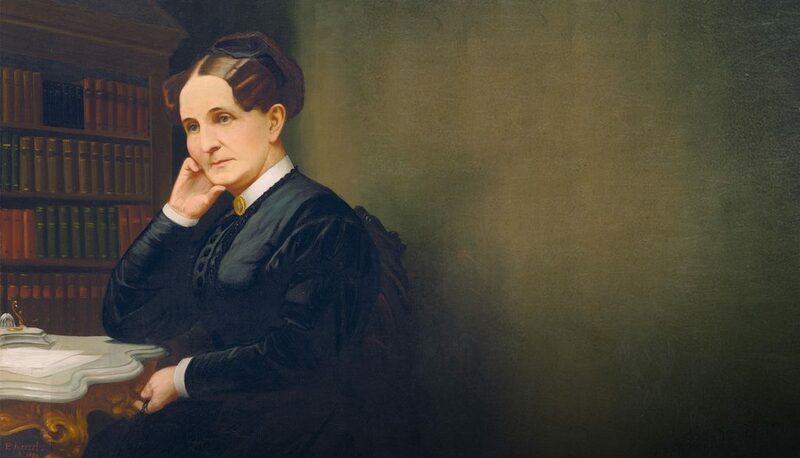 In 1858, Madame Jane Hamilton Childs took the helm with definite ideas about educating women. She shortened our name to The Athens Collegiate Institute and kept us operating during the Civil War when Federal soldiers occupied Athens. When Madame Childs retired in 1869, we once again became a local school for daughters of Athens families who could afford the tuition. Chronic problems of low enrollment and inadequate finances plagued us during the latter part of the 19th century. 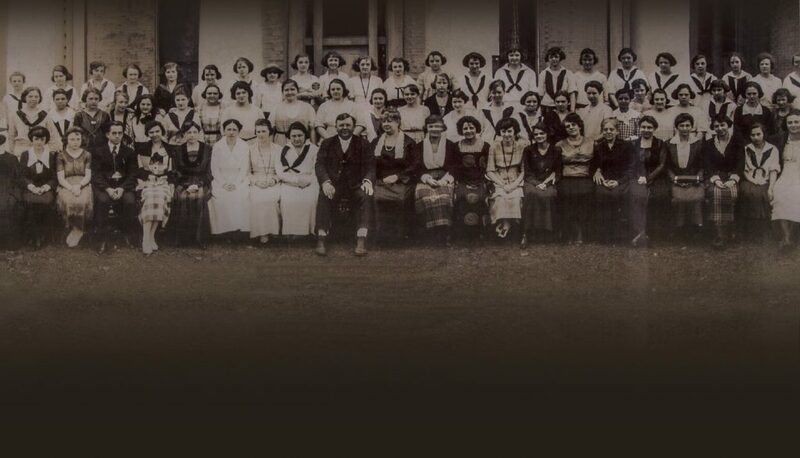 In 1870, the North Alabama Conference of the Methodist Church South was established, and the Athens Female Institute passed into their control. 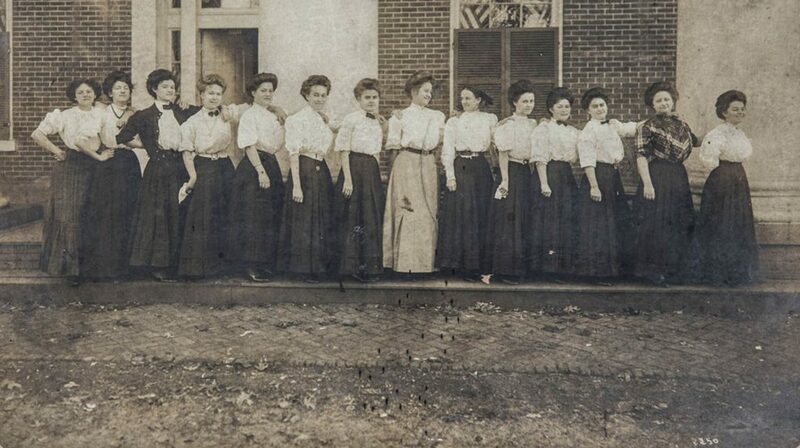 In 1872, the Alabama legislature formally recognized our name as the Athens Female Institute. Later, they once again amended our charter to reflect yet another name change – Athens Female College. Efforts to establish a significant endowment for the college continued from 1869 to 1904 without success. Until 1904, presidents were chosen by the Conference from its clergy. Many of these dedicated men spent personal money to keep us operating. 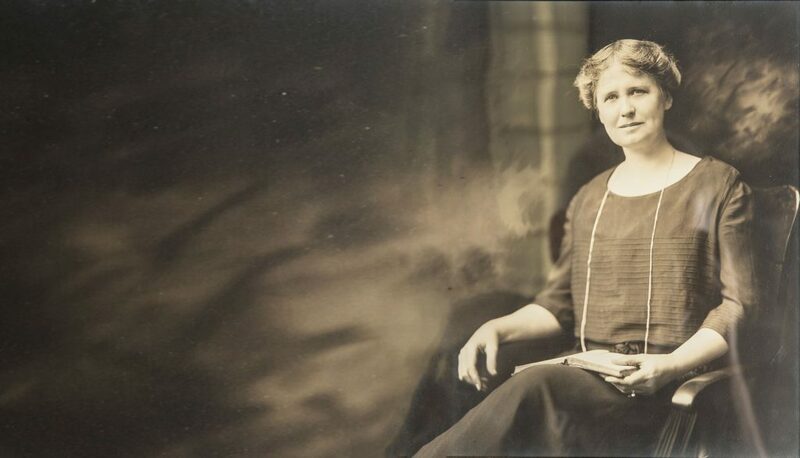 In 1904, the vibrant thirty-year-old Mary Norman Moore became president. She focused on developing an advanced and modern curriculum. During her tenure, Brown Hall was completed in 1912 in memory of Florence Brown, the young instructor who succumbed in 1909 while caring for students too ill to be sent home during a tragic typhoid epidemic. Moore hired Katherine Leslie McCandless who was credited for putting the music program on the map. The fine arts building now known as McCandless Hall was completed in 1914 and subsequently named in honor of Katherine. In 1915, the Alabama legislature once more amended the school’s name to be Athens College for Young Women. Ms. Moore remained president until 1916 when she resigned and married James Henry McCoy, the Methodist bishop of Alabama. Widowed in 1919, she returned for a subsequent term as president in 1926. Unfortunately, her plan to fortify the finances of the institution was defeated by the Great Depression and poor health, resulting in her resignation in 1930. Moore McCoy and her successors, Dr. Benjamin Bascom Glasgow (president, 1916-24) and Dr. Eugene Naylor (1930-49) transformed us into a modern liberal arts institution known for the quality of academic programs, particularly music. During Dr. Glasgow’s tenure, a new gymnasium including a swimming pool was completed in 1918, and construction of a three-story brick dormitory, now known as Sanders Hall, was begun. Eugene R. Naylor arrived on campus during the summer of 1930 to begin his nineteen-year presidency, the longest in our history. With declining enrollment and significant debt, the business-minded president decided to expand the pool of potential applicants by admitting men. In 1929, the Alabama legislature approved a name change to Athens College. After Dr. Naylor’s resignation in 1949, succeeding presidents built on the foundation that was established in the early 20th century with varying levels of success. Dr. Sidney E. Sandridge became president in 1970 when deteriorating finances created a crisis. In 1975, the State of Alabama assumed ownership, and we became Athens State College, a two-year upper-division college in the Alabama Community College System. Sandridge was succeeded in 1981 by Dr. James R. Chasteen, who was already serving as president of Calhoun Community College. Dr. Chasteen presided over both schools until his retirement in 1990. Dr. Jerry Bartlett followed as president of Athens State College and served for eighteen years. 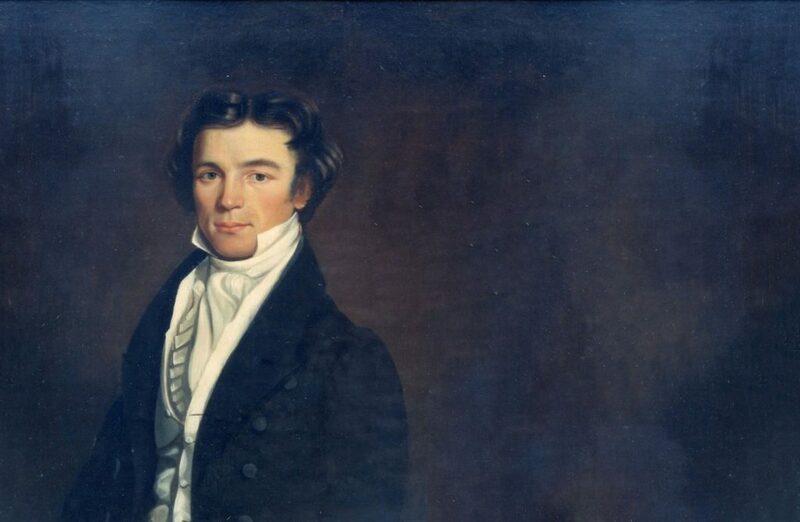 Under President Bartlett, a concerted effort was undertaken to renovate historic buildings and beautify the campus. Academic programs were expanded, particularly in the area of distance learning, to better serve the growing student population. In 1998, a bill was passed in the Alabama legislature to change the name to Athens State University. Dr. Robert K. Glenn (whose great-grandfather, Dr. E. M. Glenn, was president from 1902-04) became our thirty-sixth president in 2008. In 2012, the University became an autonomous institution with oversight provided by an independent Board of Trustees. This structure provides a framework for success as the University prepares for innovative growth. We look forward to serving the citizens of Alabama and our diverse student population far into the future.